Built in 1909 by Swan, Hunter & Wigham Richardson Ltd.
Fitted with "Welin Quadrant" Davits. 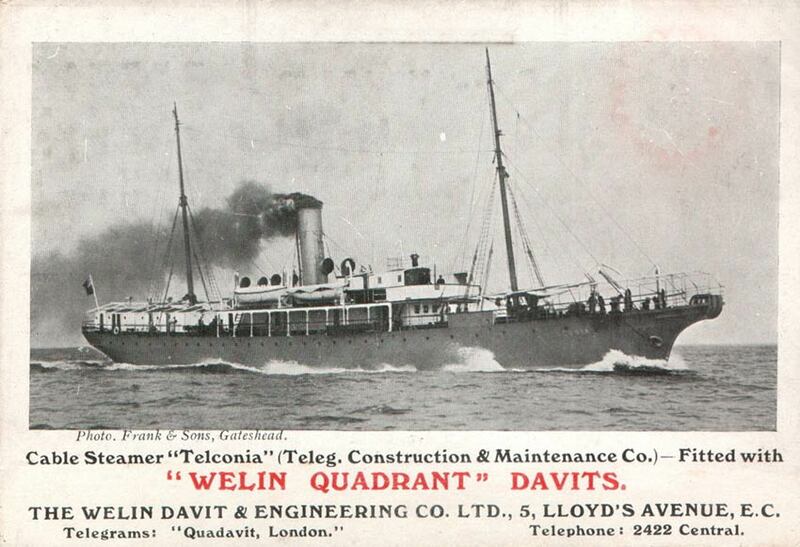 Built for the Telegraph Construction and Maintenance Company, both to assist the cable layers on major projects and also to carry out repair work when required. Fitted with two 22 ft diameter tanks, one forward and one aft, capable of holding 8000 cubic feet of cable. 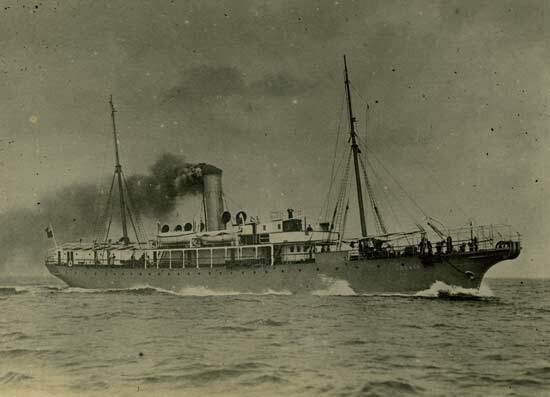 Two bow sheaves were fitted but no stern sheaves. 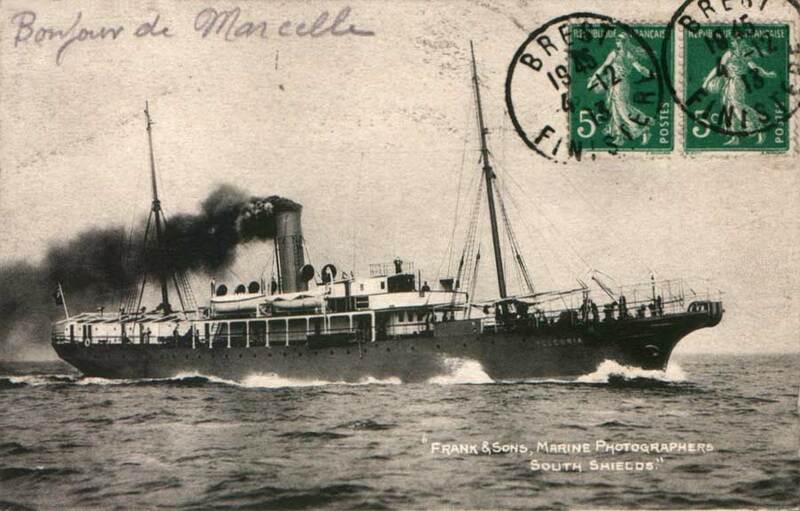 In service until late 1934 when sold for scrap. This original bell from CS Telconia belongs to Hank Henderson, who bought it in England some time ago and had it air-shipped home. Height: 16" (including the mounting tab). 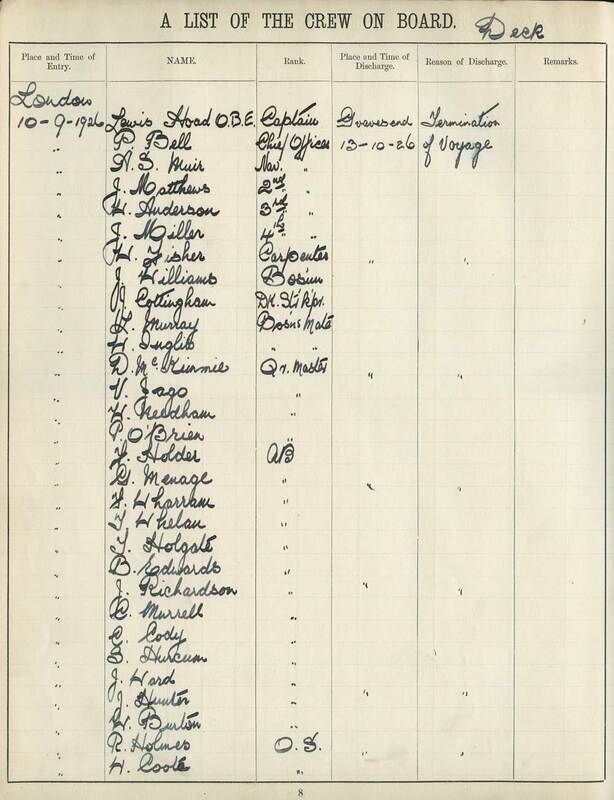 The clapper is not present. 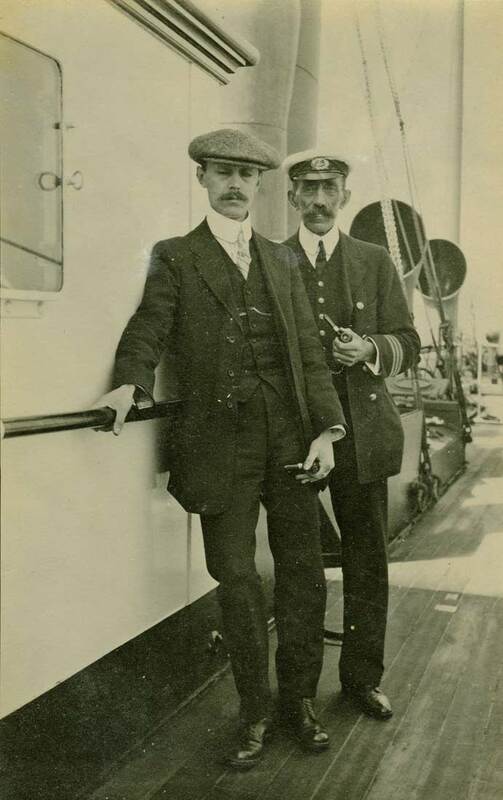 Lewis E. Hoad was born to a shipbuilding family in Rye, England in 1854. 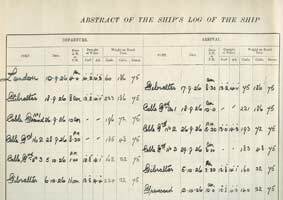 The earliest record of his service at sea is a mention of his providing meteorological information to the New York Herald newspaper in 1889, when he was Third Officer of SS Helvetia. 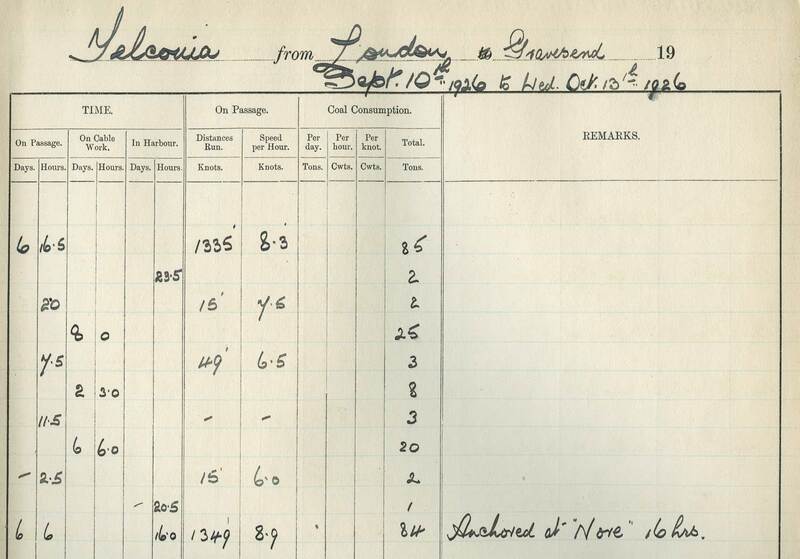 Cable company records show Lewis Hoad as Captain of CS Telconia in 1909 - see detailed listing above. 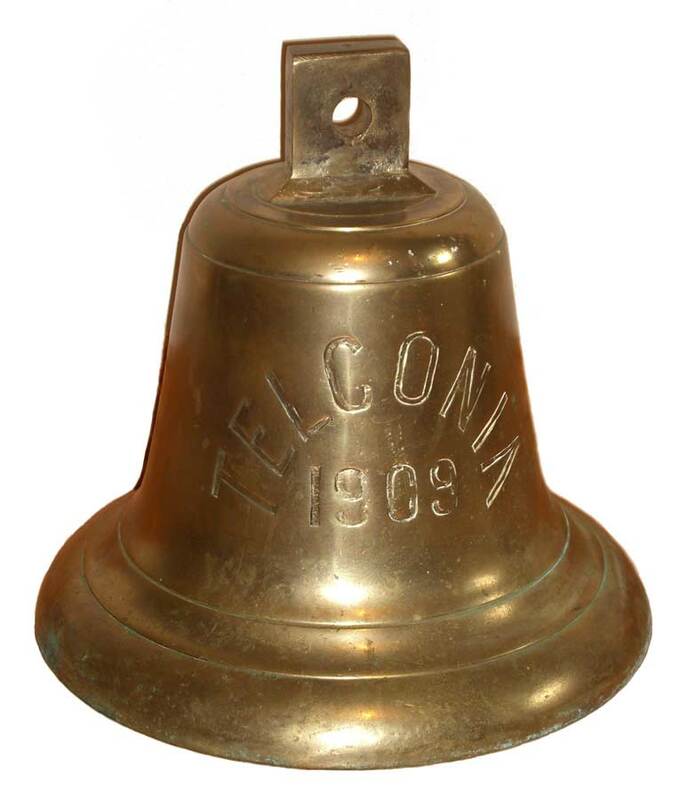 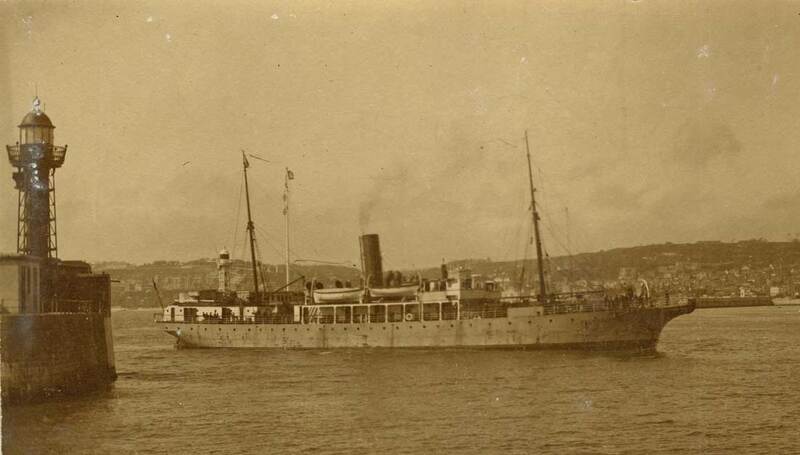 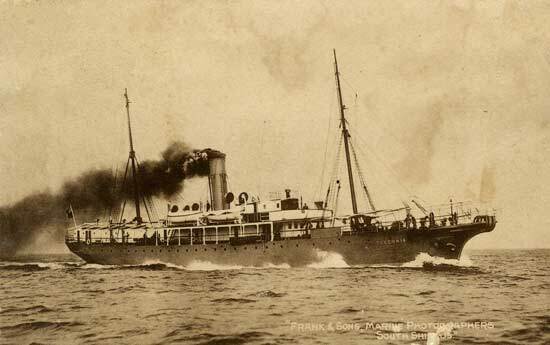 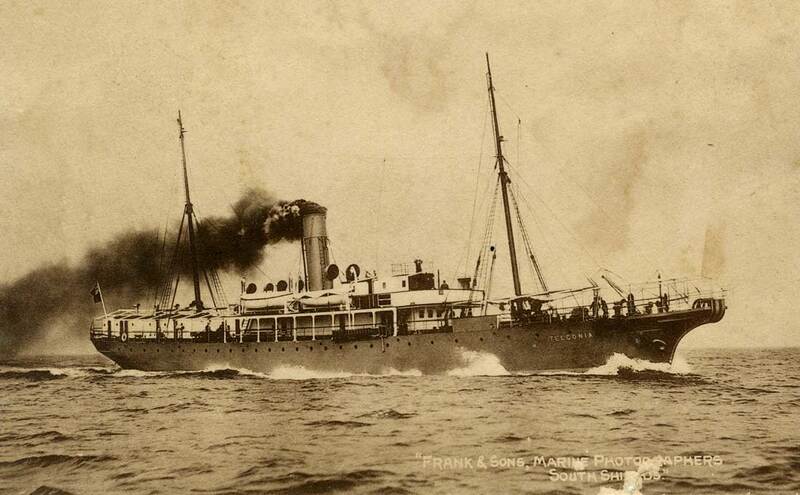 It is believed that the Telconia was involved in cutting German communication links during World War I, and Captain Hoad was awarded the O.B.E. 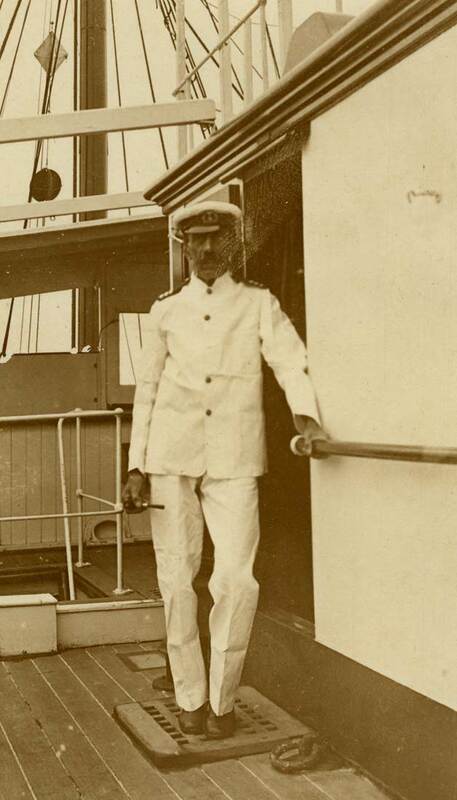 in 1919 for his work as Master of the ship during the war. 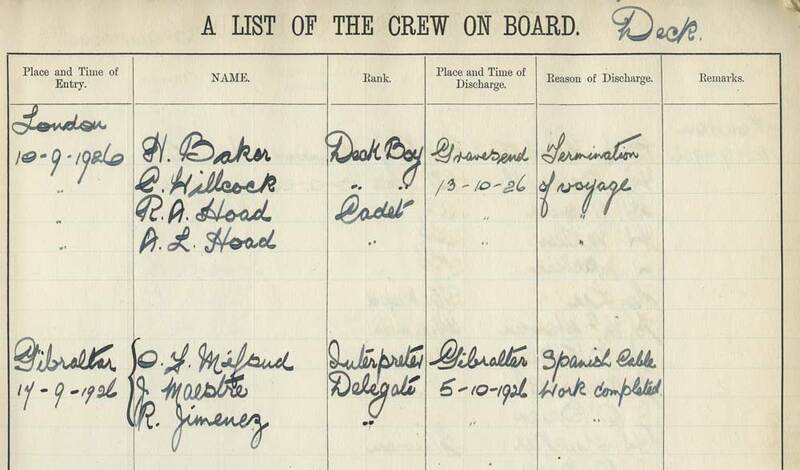 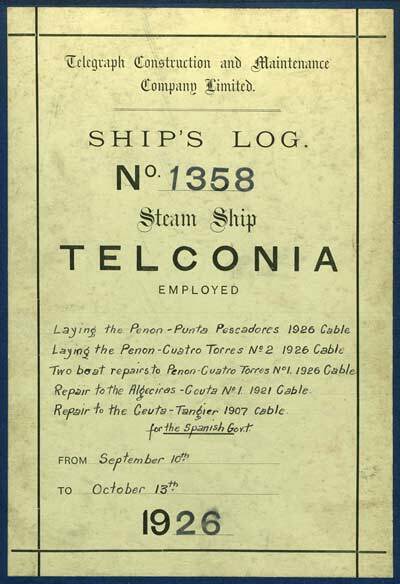 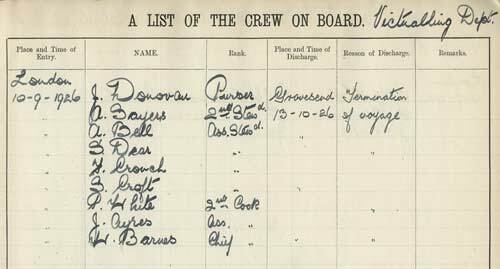 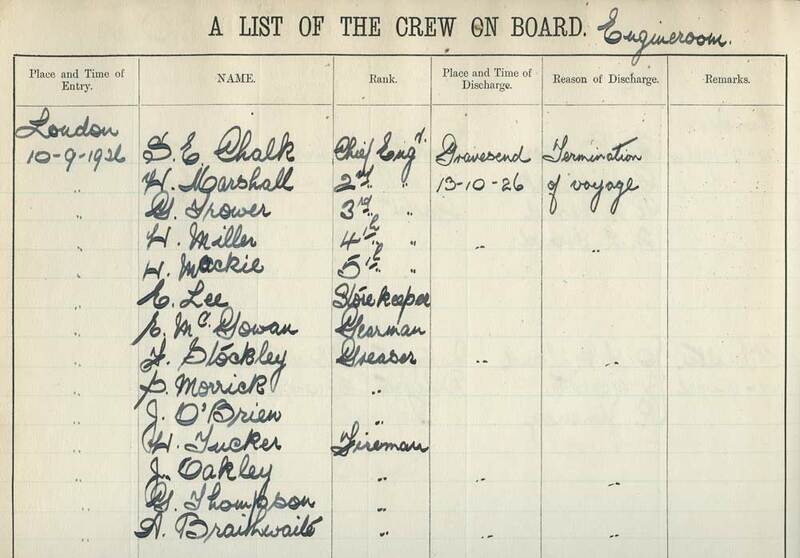 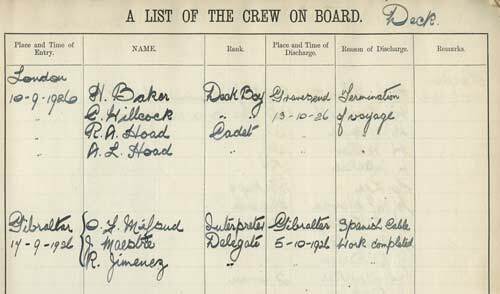 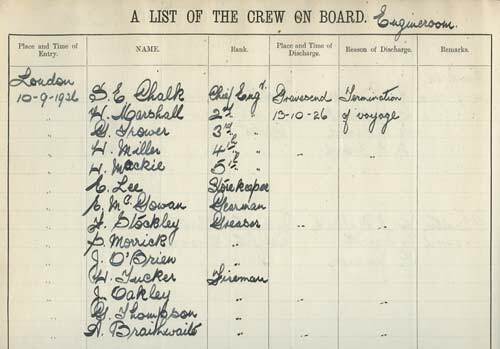 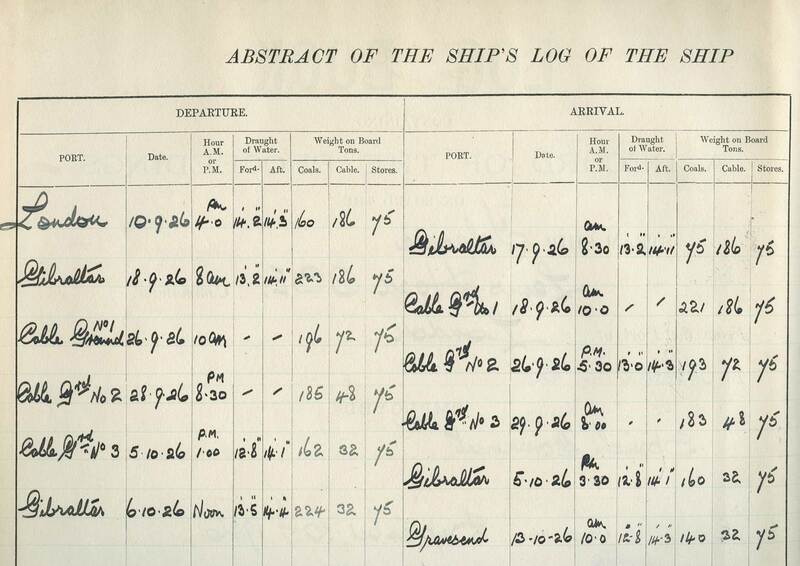 The logbook on this page shows that he was still Captain of the Telconia as late as 1926, when he would have been 72 years old. Site visitor Will Ward reports that his father served as an Able Seaman under Captain Hoad on the Telconia in that year. 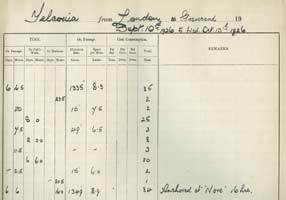 Thanks to site visitor Donald Pedley for background information on Lewis Hoad, who was Donald’s wife’s great-grandfather. Note that recent research suggests that the German cables were cut by CS Alert (1) rather than CS Telconia. 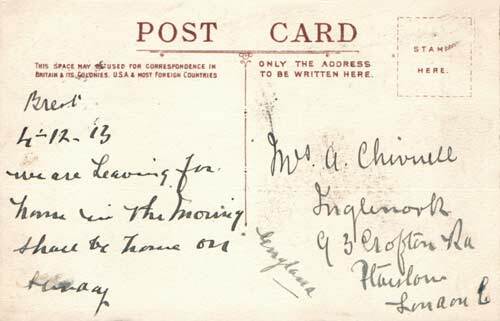 The six photographs shown below are from a group of eight images printed as postcards. 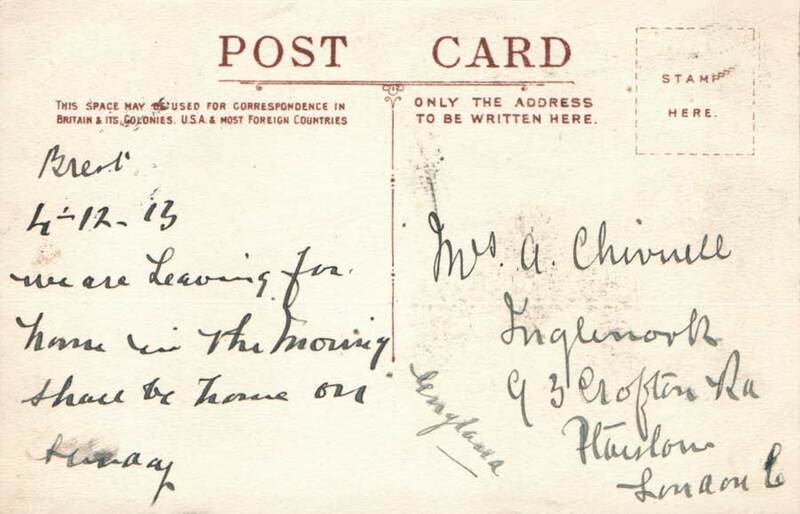 Only two of them have the same design on the correspondence side, so they must have been taken at different locations and dates, and the quality of the images is quite variable. The first one shown is marked "Frank & Sons, Marine Photographers, South Shields," and the same firm created the 1913 postcard shown above. 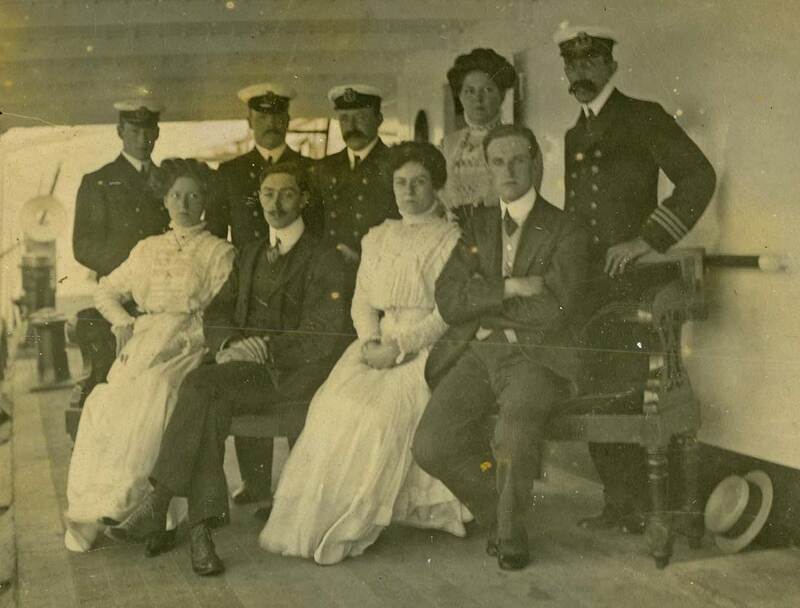 As Lewis Hoad appears to have been the only captain of CS Telconia between the launch of the ship in 1909 and his reported death in 1926, he must be the senior officer shown in these photographs, but other than Mrs Hoad, the identification of the other subjects is unknown. The link above has further details of Captain Hoad’s life and career.